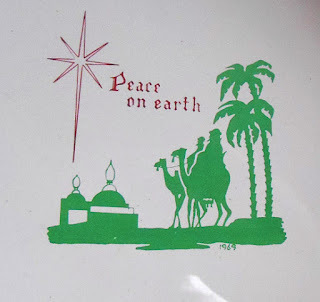 I have been hard pressed to keep this post under wraps, as it were, until the proper time of the year. I've been amassing photos from Thrift Stores (and snitching copies of photos from eBay) since March and, quietly sitting on them these last 9 months. As chance would have it, it was a good thing that I did. 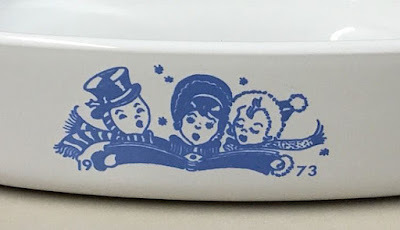 Thanks to friends on the Corningware Facebook group, I was able to get my hands on some photos of pieces I had not seen before. What is all this about? Tis the season my friends, tis the season. Holiday time is upon us! Well, except the grocery stores, maybe. Be that as it may... Both holidays bring families together and usually include some form of feasting. Which is the common thread at this time of year.. The harvest is over and its time to hunker down for the coming winter. True, in this modern age, we don't "wait out" winter like we did 200 years ago. But we can still feast and party like it's 1699. 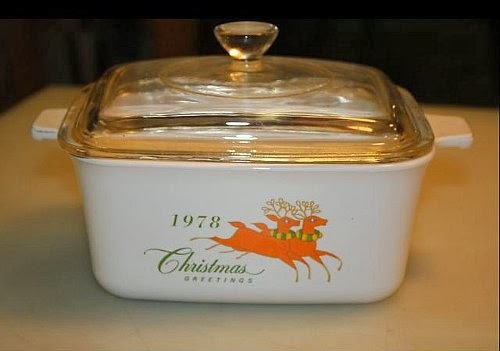 So when your bringing all those wonderful family holiday traditions out of their storage boxes and dusting them off don't forget to include the Corningware. Nothing says "festive" quite like the Christmas designs that Corning gave to its employees over the years. As far as I know, aside from the Furio "Christmas Tree" pattern and the copious pieces made with the 1979 Angel, these were never full sets. Just 1 piece a year, with a Holiday design. 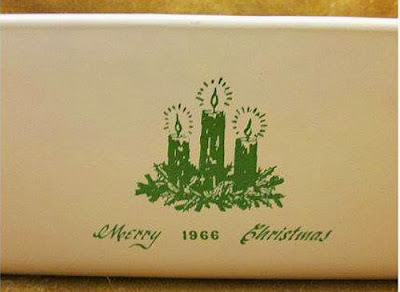 One year it was a P-315 Loaf Pan, the next year a P-83 Menuette... A different dated piece every year with a different design. (Though they did recycle a few designs) Sort of like a Hallmark Christmas Ornament. This will be a living post. As I find photos of other pieces from other years, I will add them to this post in the hopes of completing a full record of all the yearly promotional pieces. Corning also printed a design on the inside bottom of the skillet. Also available in a Red & Green version. Though I have not seen them in person, nor found pictures on eBay or etsy... My assumption is that if they made a 1, 1 1/2 & 2 quart (as shown on the box photo) along with the Open Roaster, then they probably made a 3 quart (A-3) and a 5 quart (A-5). 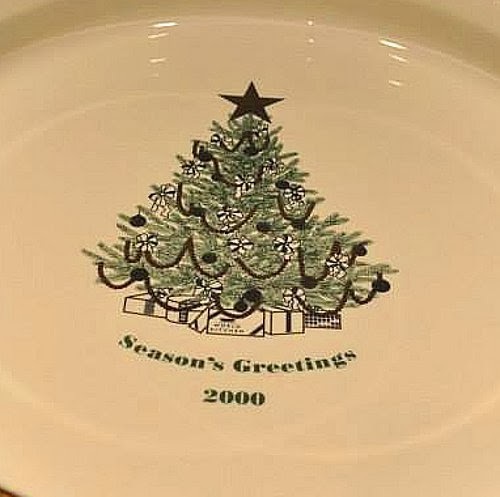 Update: The "Christmas Tree" design was made by Corning to accompany the dinnerware made by La Primula of Italy under the "Furio Home" brand.... 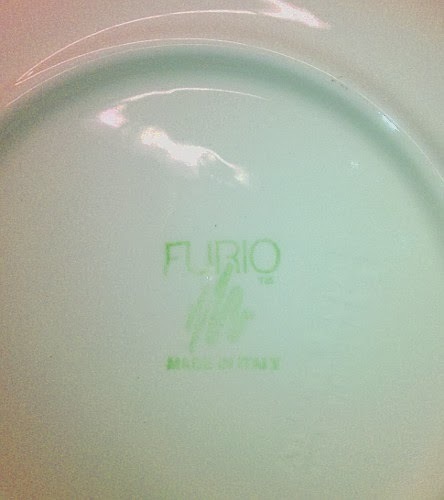 This Furio Pattern is listed as FUO5. 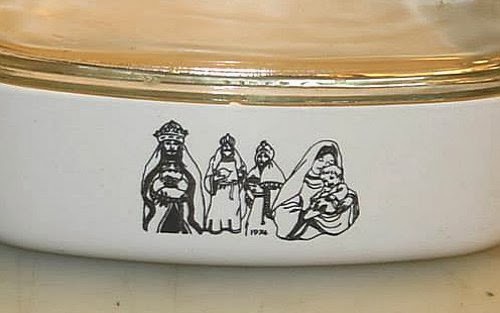 I do not know if this same designation was given to the matching Corningware pattern. 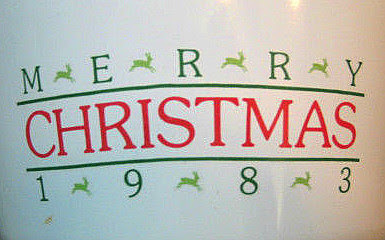 Date range of production is still unknown but it began in 1996. I never saw any of these over the years. Thanks for the research. You have made me a Corning fanatic. I just love 1963, hubby and I love looking for covered bridges. Great post. Every time I see your fantastic posts, I realize that I truly live in a Corningware wasteland. I'm a thrift shop devotee and have never seen anything close to your incredible finds. Your posts inspire me to keep searching. 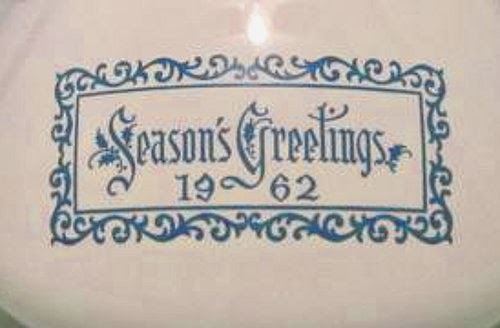 Why, that's my 1960 Seasons Greetings casserole! Really, it's in my basement! I only knew of the 1963. I am so happy to see the other years. 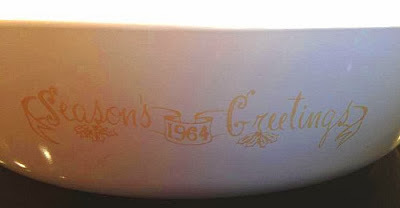 Like many of us, my holidays were spent at "Gramaws" supper table. And, like every other meal of every other day, Corning Ware was at the table. Only, Christmas dinner was different. The table was set with Corning dishes that only saw light of day once a year. These were a far cry from our "everyday eatin' dishes" No sir! 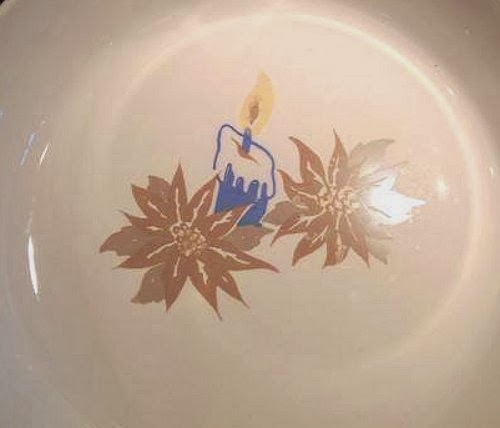 Although they were white, say, for a few odd colored harvest gold with darker colored cornflower pattern pieces, they were much larger (to accommodate the 20+ pound turkey, no doubt) They were different in another way too...Instead of the blue cornflower pattern, these were all Christmas themed with a different Holiday inspired pattern; one for every year and dated as such. Now, here's were my confession must be made. 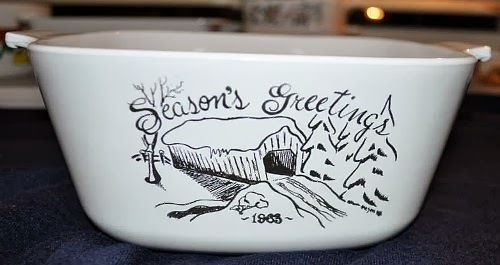 You see, growing up (and up until as recently as two days ago) I was under the impression that everyone, all across the land, had Christmas or holiday themed Corning Ware serving platters, loaf pans and casserole dishes just like my Grandmother. But, as it turns out, that isn't at all the case! So, imagine my surprise! Here I am, very much new to collecting the same stuff I loathed as a child. (day after day, week after week... wash, dry, put away, repeat. Wash, dry, put away, repeat) but, then to learn that the same stuff I took for granted, is actually something rather rare and unusual! It really is a lot to take in...that's for sure! But, all joking aside, I really had no idea that those particular pieces were, in fact, an employee only kinda thing. So, now on to the good and bad news. My Grandmother passed away almost six years ago. I miss her bunches and wish I could talk with her about all sorts of stuff. 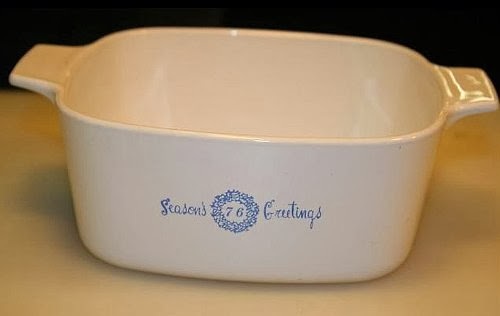 But, never would in my wildest dreams would I have ever thought Corning Ware pieces would be one of those things! My Grandfather passed away five years after his wife of 66 years and when he was gone, my cousin took to cleaning out the house. 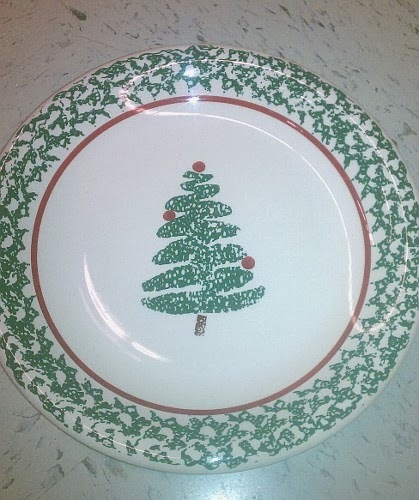 Well, to her, that Corning Ware was nothing more than a reminder of the "same old dishes" she grew up with. And, if I had to imagine, anything not sold at the yard sale was probably taken to the dump. I have yet to talk to her to find out what became of them. But, I will the first chance I get. 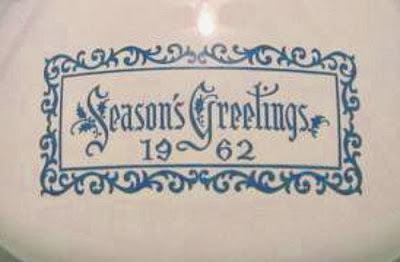 There must have been close to 200 pieces; from the earliest stuff to the cranberry Vision Ware, she had it all. I can only imagine what kind of unusual, never before seen stuff she might have had! 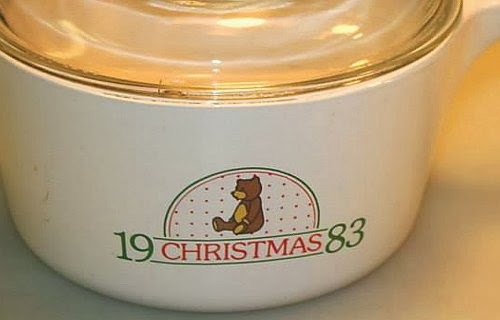 The silver lining to this story is this: My mother, to the best of my knowledge, has somewhere between six and ten pieces of the employee gifted holiday pieces that her mother passed on to her over the years. 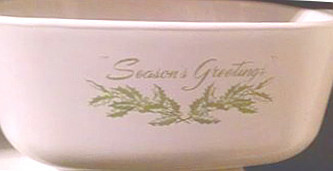 I saw at least three yesterday...a 1972 casserole dish, a 1978 loaf pan (as pictured above) and a 2001 wreath design on a large, round, shallow dish. It is my intention to get pictures of the ones I can track down and forward them on to the proper people/person. Thank you all for reading my story. I look forward to learning as much as I can from this site. I also hope to contribute in my own way by adding pictures of the pieces I can find. I understand it is far more than a "comment". Feel free to remove or re post elsewhere if necessary. Wow! Such an incredible story... I am sorry to here about your grandparents and that most of your Grandmother's collection may have been disposed of; such a wonderful history of Corning Glass Works and Corning Ware. 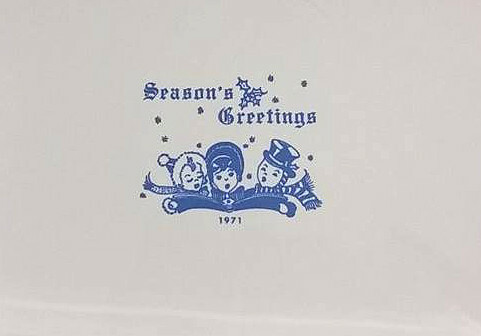 I wish you all luck in your quest to track down some of these employee holiday pieces that may still be circulating through your family. Today I found the Furio/Corning Ware open roaster at my favorite thrift store in Dayton Ohio. 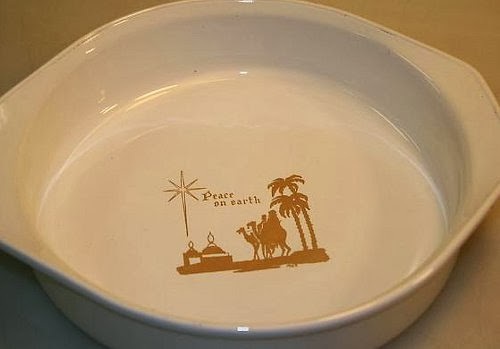 Because I’ve never seen it before I was skeptical that it was Corning Ware. It doesn’t have the typical markings. I looked to my left and began seeing the dinner and salad plates and a couple mugs. They had the exact same tree, but an unfamiliar name.